I was getting the car's oil changed at Alternative Solution this morning, doing some preparation for a talk and an article, and looked up to see Harvey Pekar, legendary comics writer and Cleveland denizen, reading a history of the Middle East. 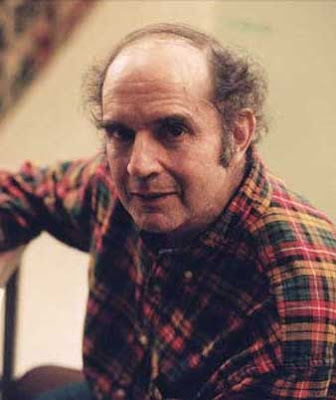 "Are you Harvey Pekar?" his seat neighbor inquired. "I can't escape that," he replied. Apparently, he's working on a comic book history of the Middle East. I asked him if he'd read Joe Sacco. Yes, and Sacco has illustrated for him in the past. "I hope you do the Tower of Babel," his seatmate urged. And then regaled him on what she would do if she were a comic book writer/artist. He was mercifully allowed to leave, when his car repairs were completed, so that he could return to the stability of narratives of the Middle East.